This collection, the first in the Flash Flood series, is a special selection of master works with a variety of genres and voices guaranteed to keep you engaged. Sign up below for future flash fiction anthologies themed for Halloween, Christmas, Valentine’s Day, May the 4th and Independence Day. 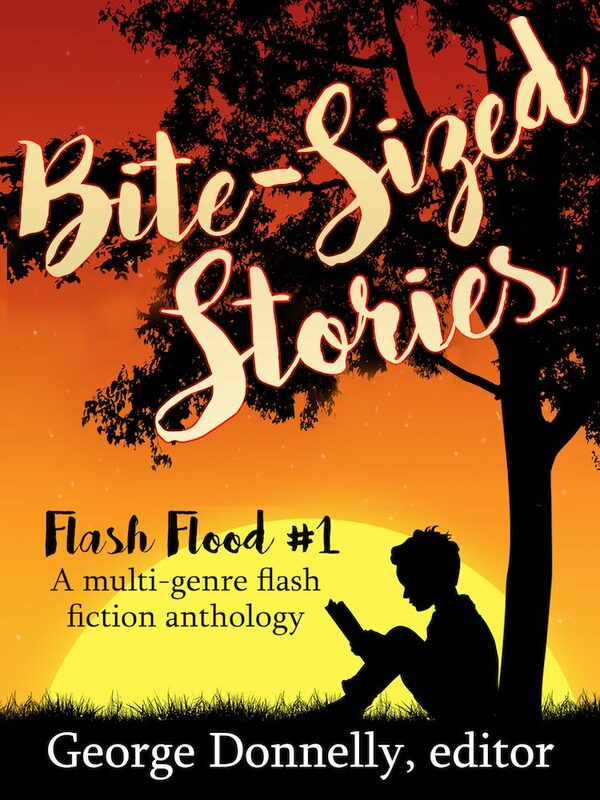 Or, sign up for the Flash Flood mailing list and get not just Bite-Sized Stories but also a FREE copy of Ghouls, Goblins and Zombies, the second book in the Flash Flood anthology series, due out October 17, 2016! Andrew Ashling kicked off this project with his Stories on the Go anthology in 2014. Bite-Sized Stories is Stories on the Go #2 and we thank Andrew for his hard work. Fellow author Alasdair C. Shaw suggested the name of our series: Flash Flood. A big thanks to KBoards, where the 24 authors behind Bite-Sized Stories planned this work. Cover artist Jes Richardson at Cover Bistro volunteered to make the Bite-Sized Stories cover and donated the final result. My personal thanks to my co-editors Raquel Lyon and J. David Core. Our greatest appreciation goes to you, dear reader, for giving these stories a few moments of your time, and hopefully, leaving us a short review to let us know if you liked them or not. Check out my co-authors’ announcements, too.